Edinburgh is lucky enough to have a wonderful selection of corporate and private hire venues within the city centre (see our recommendations at: Private Venues), but sometimes nothing can compete with the chance to escape the city with private venue hire near Edinburgh. 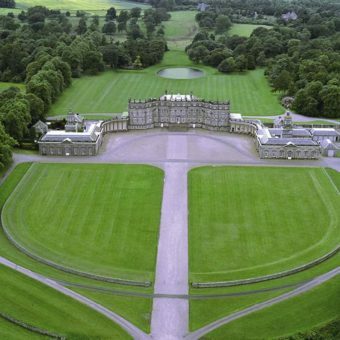 Hopetoun House offers the grandeur you’d expect for corporate events and weddings in Scotland’s finest stately home in the serenity of over 150 acres of parkland. The palatial state-rooms of the house are an impressive background for drinks receptions and intimate dinners, whilst the Adam Ballroom can hold meetings and banquets for up 300 or, for particularly large groups, there’s a marquee which can host a staggering 2,000 guests. 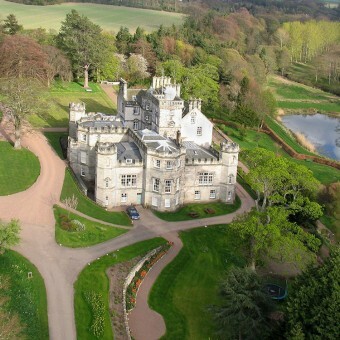 Private venue hire near Edinburgh doesn’t come much grander than this. 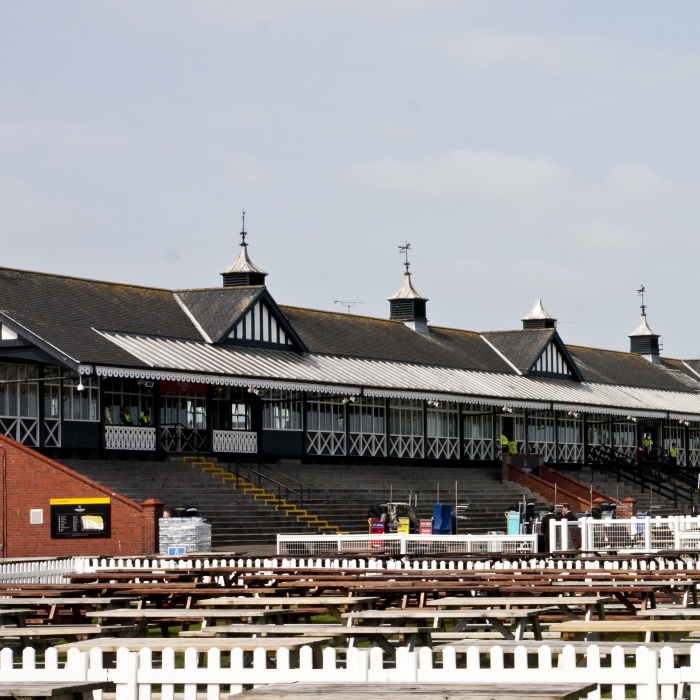 With panoramic views across the countryside, Musselburgh Race Course is a haven of peace and tranquility when you take away the adrenalin of thundering hooves on a race day. Floor to ceiling windows and balconies overlooking the track in the meeting rooms give a light and airy feeling to corporate meetings and celebrations and there’s an array of outdoor areas, including a barbeque area with modern rattan furniture, that can be used on a fine day. 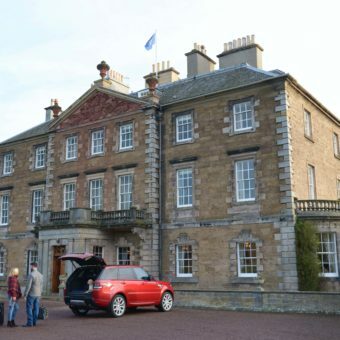 Gilmerton House, 25 miles from the city, is an elegant country mansion set in its own beautiful grounds, where the warm welcome makes visitors feel immediately at home, albeit a grander home than they may be used to. In addition to the elegant rooms within the house itself, the sitting room gives way to a sun-drenched terrace where guests enjoy a relaxed drinks reception or barbeque, or play a game of croquet on the lawn. 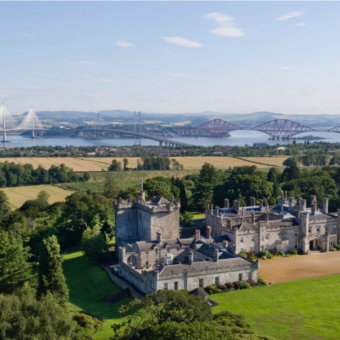 The impressive parklands and refined décor may give Dundas Castle an initial feeling of grandeur, but once you’ve crossed the threshold of this magnificent castle there’s an aura of restful calm. The understated elegance, vast fireplaces and sumptuous sofas within the Castle strike a balance between majesty and comfort creating an atmosphere of relaxed sophistication, allowing guests to enjoy the hospitality of the venue whilst soaking up the beauty of the countryside. Although the castellation, turrets and twisted chimneys create an imposing façade, there’s also a fairytale feel to Winton Castle that instills an air of sedate peacefulness and contentment. The warmth and grandeur of the function rooms lend themselves well to magnificent banquets, whisky or wine tastings and dancing, whilst the adjoining lawns are perfect for outdoor drinks receptions, barbecues or a game of croquet.